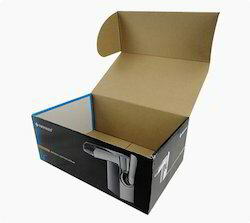 We are offering iPad Packaging Box to our clients. We are an eminent manufacturer of MCCB Boxes. Our molded case circuit breaker (MCCB) boxes are on big break in different metal configuration and styling. - 30" X 24" X 10"